Are you a writer, blogger and love to learn new things? Are you looking for a platform to develop your writing skills? Do you have extensive knowledge about modern advancement and technology? If yes, then share your knowledge with us. Teciwc offer you this brilliant chance to improve your writing skills by writing articles for us. Modern world is the world of advancement where you will see individuals doing surfing for the sake of entertainment and information. We cover different categories on our blog such as, you can send us your writings related to business, digital marketing, technology, latest advancement news, startUPS, Info Graphics, Product Reviews and about Sales and offers. You can also send the article about different tip and tricks to improve the credibility of web business. Articles related to digital marketing including Info Graphics will be really appreciated. Your article should be informative, factual and entertaining. You should have strong grip on the niche, you are writing about. Your written article should be unique and free of grammatical, spelling and punctuation mistakes. Your article should be between 700-1000 words. Your submitted article should not be posted anywhere else such as, internet, journal or any magazine. Your article should not contain useless content. Try to remain as much relevant as you can. Your article should be written in a formal tone. Avoid using informal tone while writing an article. Your article should contain relevant images to make easier for the readers to understand your point of view. Your article should contain genuine examples to proof its authenticity. Why You Should Write for Us? Gain Exposure: We give you an exposure to share your knowledge with the world that what you know and what is your point of view regarding advancements done in the world of technology. Get Experience: We are offering you a golden chance to show the world your writing skills. You can get writing experience as well as can expose your talent in front of the world. There are few things that you need to mention in your email, while submitting an article to us. A brief introduction about yourself. Don’t forget to add URLs or your previous published works. Last but not the least, we are looking for individuals who love to share their knowledge with others and have good research skills. Keep in mind that your article should have fit into our website categories. So, if you are interested to contribute technology related knowledge with tecwic; we warmly welcome you. 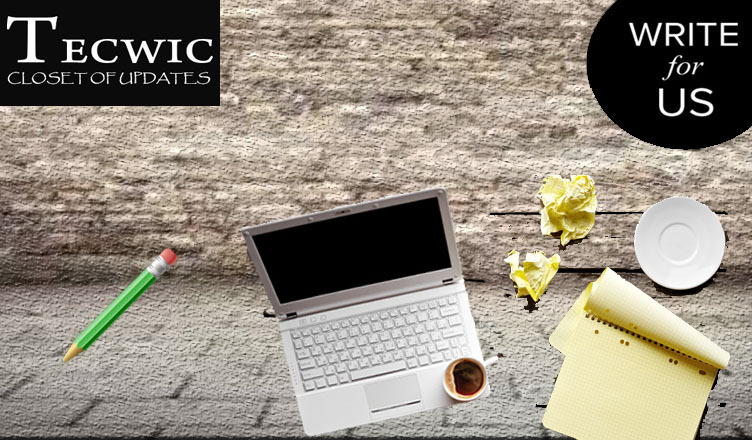 Please at email us at info@tecwic.com your unique piece of writing and we will try to response you within 24 to 48 hours.